Carrying forward traditions from our culture, and passing them down to future generations, is one of the best way to bond families together and create a sense of community. 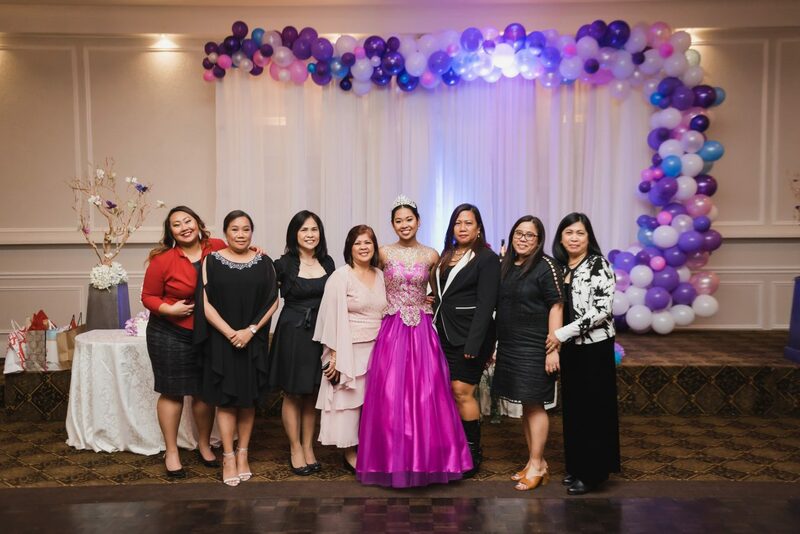 Within the Filipino culture, the debut is a celebration of a young woman’s 18th birthday when she is coming of age. We were so happy to be involved with this day so we can capture this memory for Ayessa and her family. 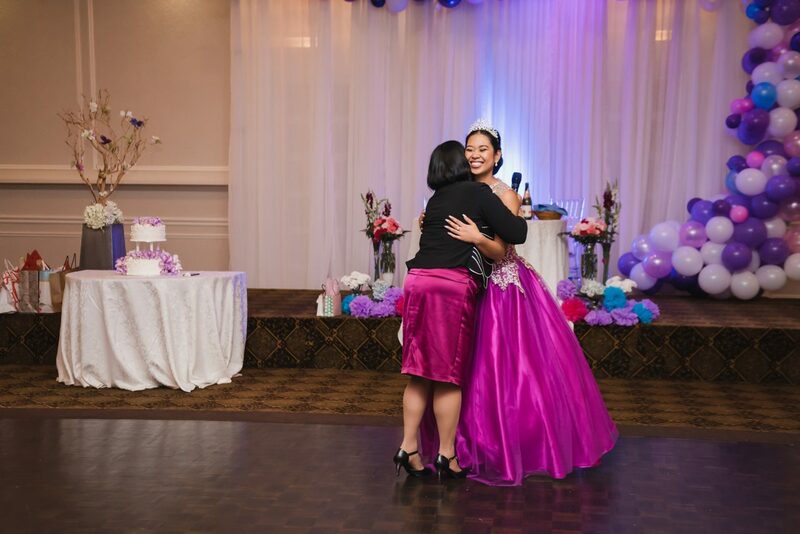 Ayessa’s older sister, Annie, was the person who planned the whole party for her which took place in Woodbridge, Ontario– she even contacted us and asked us to photograph and film the day. On Ayessa’s birthday we got to meet her and get to know the wonderful person she is. When I saw her for the first time, it took my breath away. Do you remember all these Disney princesses? She looked like one of them. For the big day, her family invited 200 people to take part in her celebration. Ayessa had two dresses for the day – both of which her sister worked on to make her look like a princess. Before the celebration began, we took solo pictures of her all around the venue including with the decorations, the cake, and the indoor waterfall. To begin the celebration of her birthday there was an entrance of 18 women and 18 men – all friends of Ayessa. The women wore white dresses and the men were dressed in suits. After her friends came into the room, Ayessa’s family entered followed by the birthday girl so all eyes were on her. Everyone gathered in prayer, lead by Father Lorenzo and then her two younger sisters did a dance performance to welcome everyone to the event. After the dancing, there was a candle ceremony where friends and relatives of Ayessa presented her with candles while speaking to special memories about the relationship they have with her. The final 3 candles of this ceremony were presented by Ayessa’s two younger sisters and her older sister, Annie. Continuing the 18 theme, Ayessa’s uncle performed a song for her guests while 17 males of the debutante’s choice presented her with either a single rose or her favorite flower and then danced with her. The 18th flower was presented to Ayessa by her father who had the final dance with her. To end the evening Ayessa surprised all of her guests with a perfectly choreographed dance to a Beyonce song, which ended with all of her guests joining on her on the dance floor. Ayessa was able to celebrate her party with two different dresses to show off a more traditional look followed by a much more casual one. The décor of the evening was simple and beautiful, with purple accents and beautiful backlighting throughout the room. What really made this event unique was that it showed the traditional Filipino debut so that Ayessa can continue to display her culture proudly, but it also was executed with a really unique touch that truly showed off Ayessa’s personality. She was able to celebrate her 18th birthday in a way she will never forget, and it included all of her closest friends and family. We had more than a wonderful time taking pictures and documenting on video Ayessa’s Debut and her closest ones celebrating together this beautiful day. Happy Birthday Ayessa!